The fun-loving bearded bunch returns when Duck Dynasty®: Season 6 arrives on Blu-ray and DVD October 7th from Lionsgate Home Entertainment. The Robertson family is up to their old tricks with their silly stories, sage advice and witty one-liners in nine enjoyable episodes. With over 3.5 million units sold, the Duck Dynasty® series was the biggest TV franchise on DVD of 2013 and is still the highest-rated nonfiction series on cable. 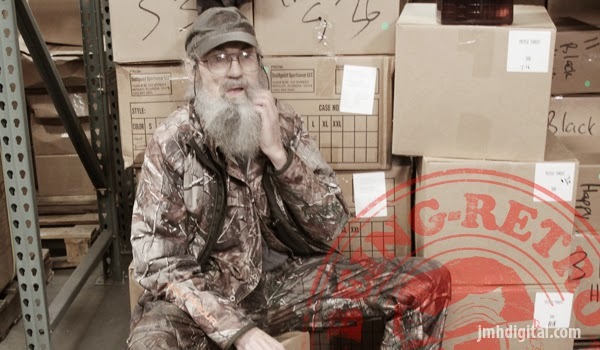 There are goings-on with everyone, from the guys re-branding Duck Commander to the governor of Louisiana giving Willie an award to the return of the dreaded beavers! Watch as the elder Robertsons share their special brand of wisdom with the kids along the way: Phil teaches Bella more than Willie was hoping about nature, Willie and Si insist on helping John Luke with his speech introducing the governor and Jep and Jessica chaperone Lily’s first date. Jase takes Reed frog-hunting the night before his high school graduation—like he did before his own—and Jep and the ladies pull a senior prank by toilet-papering Missy and Jase’s house. Willie also sponsors a radio contest and finds himself competing against Si for a wood chipper. Somehow, it all comes together. 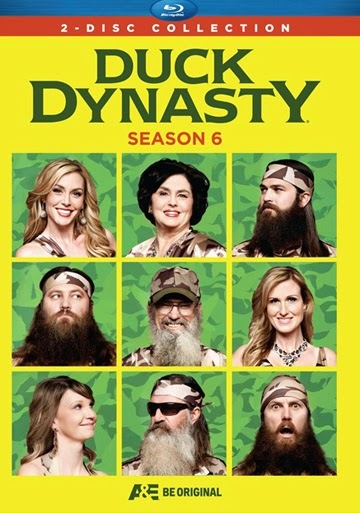 Just in time for the broadcast premiere of Season 7 and the release of the new Duck Dynasty video game, the Duck Dynasty ®: Season 6 Blu-ray and DVD two-disc sets, containing all nine episodes plus over 20 minutes of bonus features including ten never-before-seen-on-TV featurettes and exclusive deleted scenes.